At Washington Home Improvement our philosophy is simple, customers first. 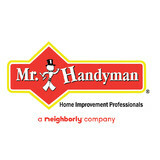 We are a family owned handyman business that provides services to the DFW Metroplex. We employ only the best craftsman and pride ourselves in strong customer service, punctuality, and professionalism. Our company specializes in residential and the commercial sector. We are committed to offering competitive pricing without compromising our workmanship and quality. We work with several vendors in the DFW area to offer discounted material pricing to our clients. No project is too big or too small. We look forward to hearing from you soon! We also offer 10% discounts to all Military and EMS personnel! 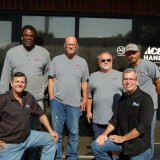 Our goal is for Handyman Connection to provide customers with excellent workmanship and superior customer service. Each of our craftsmen has solid experience and all have gone through background checks. We enjoy helping our good neighbors and making the communities and homes we live in better places through home repair and improvement projects. We are passionate about taking your home improvement dreams and making them a reality. Our business repair company is ready to help you. With over 15 years of experience, we have what it takes to fix or replace anything. TX Finest Handyman provides every service you need to take care of, remodel or repair your home from top to bottom. Advantage Design & Inspection is a full service residential and commercial remodeling, handyman service company. ADI gives you the advantage, because we don't use sub-contractors. Every person working in your home or at your business is a team member at ADI. Together, we give you the advantage with the benefit of our decades of experience - all in house. Fixit DFW Handyman is a family owned business dedicated to getting the job done right. Our customers will always be treated with the utmost respect and consideration. Honesty, quality work, punctuality, and consistency are our most important assets. 940handyman.com is a handyman service company offering maintenance, repair and construction for interior and exterior projects. 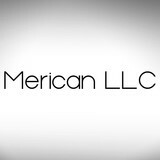 We serve the residential, commercial and multi-family clients. Please call today for an appointment! 24 Hour Emergency Service Available For emergency service, please contact us at your convenience. We look forward to serving you. JWR Home Services offers the communities of Dallas/Fort Worth the finest home repair and maintenance for home owners and property managers. JWR Home Services will give every customer at least two hours of work at their property. All work is "handyman" work, for larger jobs that require a contractor, JWR Home Services will pre-screen a service provider free for the customer. By providing only handyman services, JWR Home Services will always attempt to repair the problem first, replacement is only an option if the item cannot be repaired. This differs from a contractor philosophy which is generally to replace everything first. Repairing items is far less expensive for the consumer. JWR Home Services guarantees all of our work, if something goes wrong, JWR Home Services will make it right. The goal is to not have any unsatisfied customers. 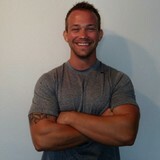 What can a local Sachse handyman do? While home handyman services in Sachse, TX usually cover most of these things, sometimes it’s better to hire a specialized professional so do certain jobs, especially if it’s related to major plumbing or electrical fixes. Here are some related professionals and vendors to complement the work of handyman: Heating & Cooling Sales & Repair, Plumbers, Electricians, Roofing & Gutters. Find a Sachse handyman on Houzz. Narrow your search in the Professionals section of the website to local handyman servicesin Sachse, TX and read reviews and ratings to find one that fits your needs.